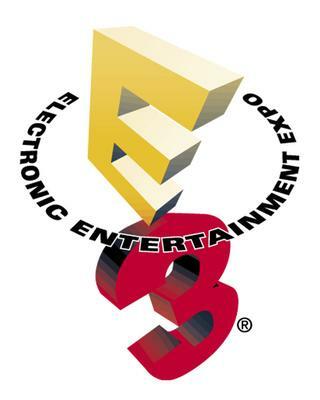 Despite rumors of its demise, E3 lives. I'm leaving tomorrow for some camping, but I thought I'd share some feelings on E3 so far, good and bad. Red Steel 2, yeah can you believe it? I got Red Steel when Wii first came out, and I must of had three or 4 epileptic seizures before I gave up and sold it back to Game Stop for Zelda. I cannot believe this is even the same game. They have taken everything learned about Wii First person shooter in the last few years and applied it. Add the Wii MotionPlus sword fighting and call me pleasantly surprised. Oh, by the way it's graphics look great too! Don't get me wrong, this trailer looks great. But I have one question; where is the Metroid in this Metroid game? Team Ninja is great for action games and general badassery, but have they tossed out everything that makes Metroid, Metroid? I want to wander endlessly thru halls and caverns, find powerups for hours and explore awesome vistas. Not that I don't enjoy killing stuff too. So, if you notice, I've only really talked about Nintendo so far. Well first off I'm huge (but waning) Nintendo fanboy. So that's one reason. But really to talk about the other consoles is easy. Microsoft = Halo games. Sony = God of War III and Metal Gear. Not that these aren't great games, but can get get anything actually new from these people. Yes I am aware Nintendo hasn't had any new IP's in years, but they did bring Wii so I've given them a pass for a few years, well, they have one year left and then I'll be calling them on it too. Perfect Dark on Xbox Live! First - I am amazed about Red Steel 2, when does it come out? Second - I am also quite shocked by Metroid, I hope it is better than it seems, and I assume you will be getting it regardless. Third - I know you do not have a data plan on your cell phone that you are streaming vidoes on at work, and I hope you are paying your dear mother, who if you have forgotten, pays for your phone bill, because internet on your phone can get quite expensive. Fourth - We need to have a video game marathon in late August or early September before i go back to school.